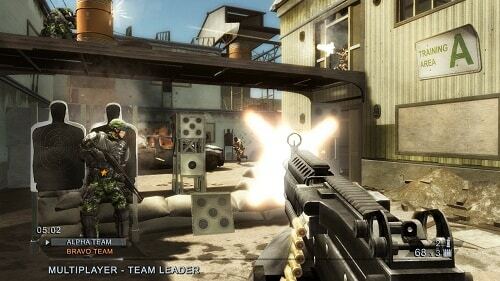 Tom Clancy’s Rainbow Six Vegas 2 makes lucky number 7 in the series. For both new Rainbox Six fans and old the game will meet all expectations for PC and console gamers. Players join the plot after the events of Raven Shield with Bishop leading his team on a botched rescue of hostages in France. Crossing the sea to Vegas players find themselves attempting to stop a smuggle of chemical weapons from Mexico which is where the real story elements explored in this addition begin. With a large Vegas world of all the hot locations central to the game the environment promises a great visual experience. As has already been eluded to Bishop is your main protagonist in Six Vegas 2 and when in the co-op game mode you’ll be joined by Knight. Six Vegas 2 also adds a number of new customisation elements not previously available which allows you to create your own Bishop. Most players will opt for the single player campaign which is story orientated but also includes the popular Terrorist Hunt mode that has been popular in the previous games (both of which support co-operative gameplay). Gameplay is comparable to other games in the series with first person mode for the most of the game but players will enter into a third person mode when they take cover behind something in the game world. Combining basic RPG elements into the game is the experience point system that rewards experience for kills. Trading in this experience for extra equipment players can become a more durable soldier or access dozens of weapons to alter their style across the campaign. Tom Clancy’s Rainbow Six Vegas 2 has all the foundations of the other games in the series but with enough new bells and whistles to make it worth a playthrough. A new Rainbow Six Vegas adventure. Play as Bishop and Knight (co-op). Gain experience for your kills and upgrade your available equipment. 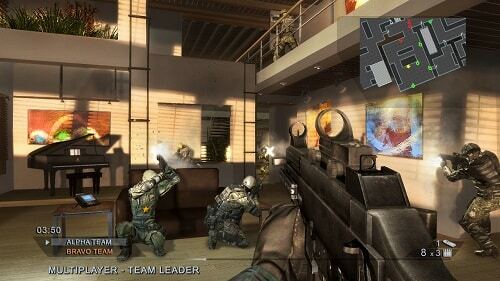 Play with others in multiplayer and co-operative game modes. For PC, PlayStation 3 and Xbox 360.